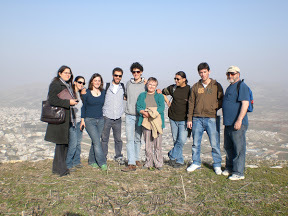 Hosted by Green Olive Tours staff, guides and Palestinian families, this tour is designed to provide an overview of the West Bank, Palestinian culture, and life under Occupation. It is an excellent way to begin your visit, and sets the stage for further independent travel. Select Israeli and Palestinian guides will give you an intense and rich experience packed into four days. You'll see five Palestinian cities, meet dozens of Palestinians, and be provided with a huge amount of information about Palestinian history, culture and the Occupation. Your overnight stays will be at a family home in Beit Sahour, a suburb of Bethlehem. Unless you come with a friend you will share a room with another person who is taking the tour. If it is a small tour then single rooms may be an option. If you would prefer a little more privacy then you have the option to stay at a hotel in Beit Sahour for a small additional fee. 09.00am. A representative of Green Olive will meet you at the Jerusalem Hotel Cafe. 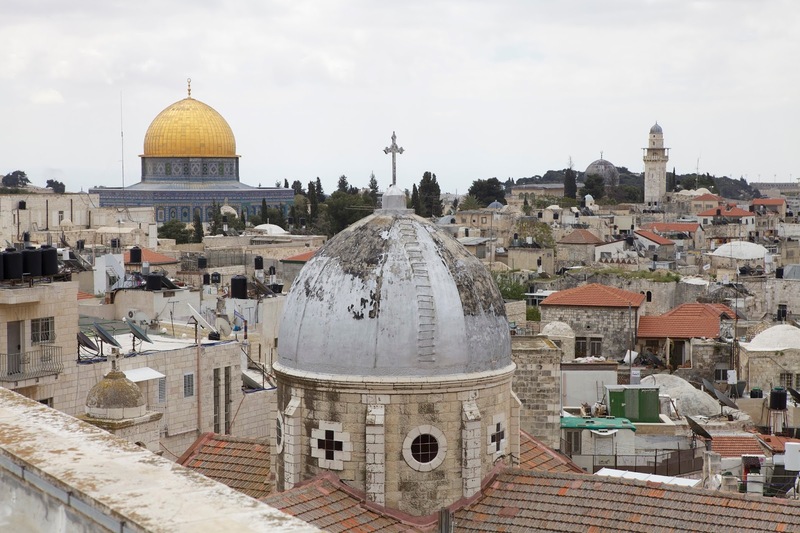 There will be a briefing with maps and an intensive 3-hour walking tour of Jerusalem's Old city, taking a look at the Western Wall, passing the Church of the Holy Sepulchre, and seeing the Israeli settler homes that have been sprouting in the Muslim Quarter. 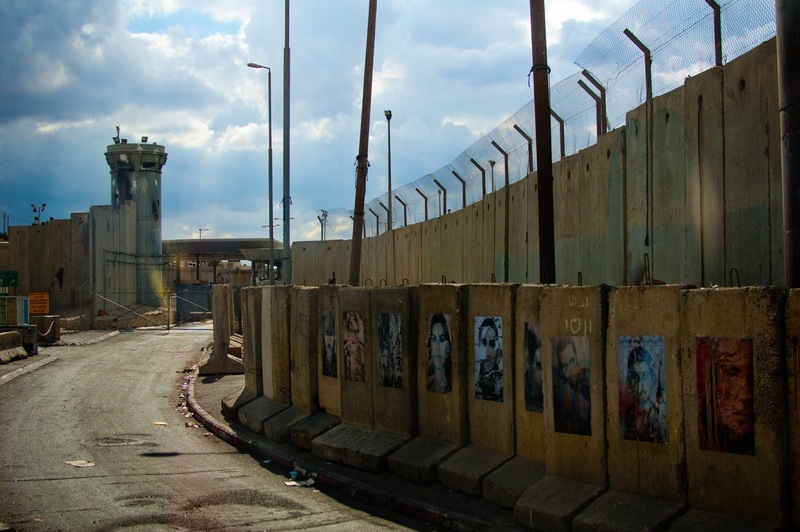 After lunch you will go on the road for a tour of some of the suburban Jerusalem settlements, Palestinian neighborhoods, the Separation Barrier, and segregated roads. These will include Pizgat Ze'ev, Har Homa, Beit Hanina, and Anata. 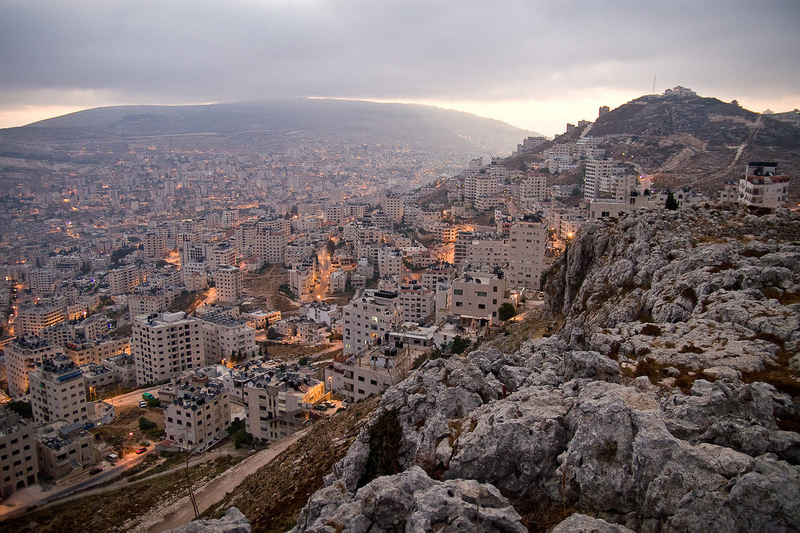 You'll drive through Ma'ale Adumim, one of the largest settlements in the West bank (pop. 35,000). Then off to Beit Sahour to meet your host family after a busy and intense first day. 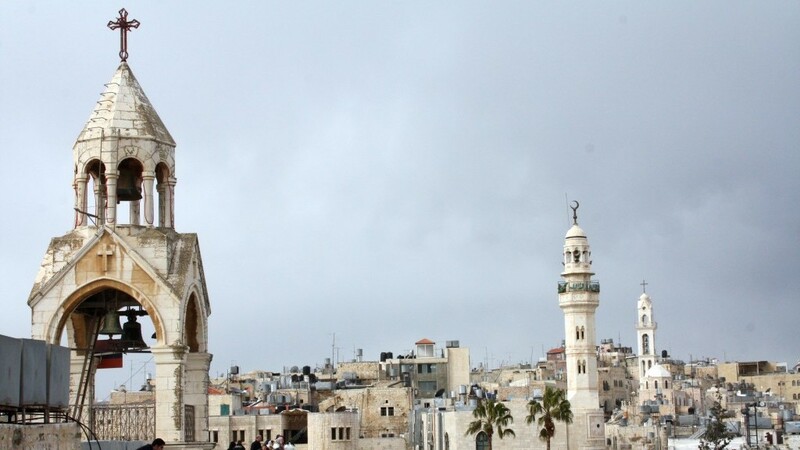 Today you'll be with a Palestinian guide for an overview of Bethlehem. You'll see the settlement of Har Homa that you saw from the Jerusalem side of the Barrier yesterday. Today the view will be from the Palestinian side. You'll visit the Aida Refugee Camp, and have a discussion with a representative of an organisation there. 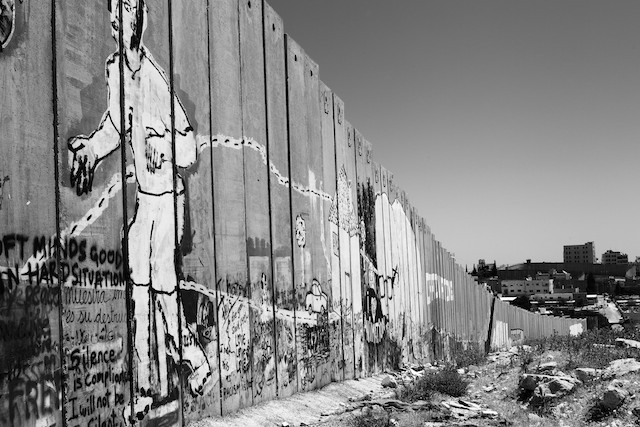 You'll see the Separation Barrier up close, and the famous Bansky Graffiti. You'll also meet Palestinians, and visit the Church of the Nativity. In the evening you'll visit the Alternative Information Center (AIC) for their weekly discussion session about aspects of Palestinian life and the Occupation. There is a featured speaker from an Israeli or Palestinian organization then lots of round table discussion. The AIC promotes the rights of the Palestinian people, and is the only peace and justice organization that has a mixed staff and board of Palestinians and Israelis. You'll be picked up early in the morning and travel up the spine of the West Bank on route 60 seeing many small radical settlements and Palestinian villages. The first stop will be the Balata Refugee Camp where you'll see the crowded conditions and hear some stories about life there. You'll also visit one of the camp organizations that helps make life a little better for the residents. The tour will include the Old City with its beautiful labyrinth of buildings dating back to the Ottoman period. You'll visit the ancient Turkish baths and an olive oil soap factory. You will also visit sites of historical and religious interest such as Jacob’s Well; a deep well dug by Jacob and where Jesus once asked a Samaritan woman for a drink. You will also visit the Samaritan's hilltop village on Mount Grizim as see the site of their ancient temple. Sometimes a local Samaritan priest is available to have a discussion at the museum. After lunch you'll drive to Hebron and visit Abraham's Tomb and the Old City where Israeli settlers live in close proximity to the local Palestinians. You'll visit a local family and a glass blowing workshop that recycles glass from the city, crafting beautiful objects. Morning - Depart by bus to Jerusalem. Taking a Palestinian bus to Jerusalem is an interesting experience and will give you a chance to see what local people experience at the checkpoints. Your host family will see you on to the bus which will bring you to the bus station at Damascus Gate in Central Jerusalem. Private transportation can also be available if you prefer.